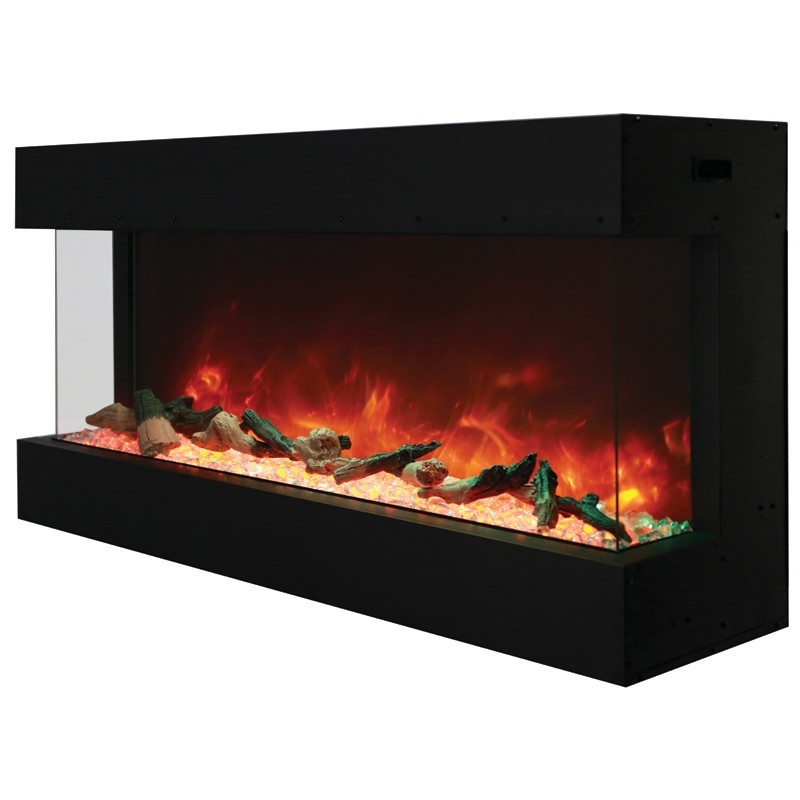 The Amantii 50″ 50-TRU-VIEW-XL 3-Sided Indoor or Outdoor Electric Fireplace is a true innovation! The stunning flame presentation and unique media options can now be viewed from almost any angle. There are four possible installation options: 3 sides open, left side open, right side open, both sides ‘closed’. This fireplace features a bold, modern design intended for building materials to finish flush with the glass. 3 color LED flame strips allowing for multi-color flames and ambient canopy lighting. 120V / 1500W / 4800BTU heater with fan. Hard-wire ready. Indoor or outdoor application. Cover must be purchased for outdoor application. Rated for bathrooms as well!